The much-anticipated project includes major upgrades to health, wellness and recreation, a transformational renovation of historic Gutterson Fieldhouse and the construction of a new events center that will serve as the home for the Catamount men’s and women’s basketball teams while also hosting a variety of campus and public events. The University of Vermont Board of Trustees has unanimously passed a resolution that lays out a specific financial plan for the Athletic Department's Multi-Purpose Facility project and paves the way for construction to begin as early as this winter, pending receipt of all the necessary permits. The resolution requires that all fundraising goals be met prior to groundbreaking. While fundraising for the project will continue up to and through construction, several critical milestones have been met which provided the board confidence to move the project forward. 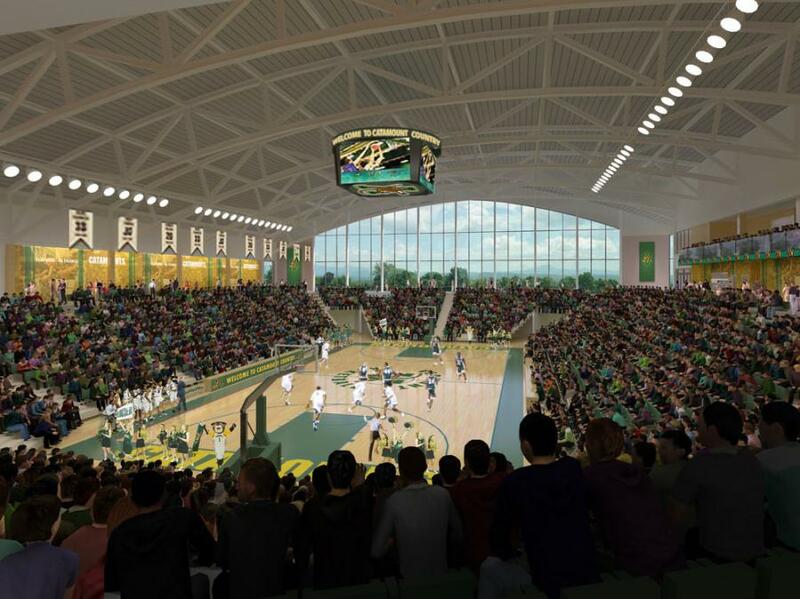 The much-anticipated project includes major upgrades to health, wellness and recreation, a transformational renovation of historic Gutterson Fieldhouse and the construction of a new events center that will serve as the home for the Catamount men's and women's basketball teams while also hosting a variety of campus and public events. The project is scheduled to be completed in various stages throughout the 2020-21 academic year. "The passage of these resolutions by the full Board of Trustees will represent the most significant step forward in the long history of our vision, consideration, planning, and, at long last, construction of this critical project," said UVM President Tom Sullivan. "Once approved, our board will be making a strong and official commitment of University resources to get this done, which is an essential component of the finances needed to move forward. This opens the door for this multi-purpose project to break ground as planned this winter, as we complete the final phase of philanthropic fundraising. As I have stated before, ‘It's time.' And now, I can report that we are all in with this clear commitment to get this project done." The total project cost is anticipated to be $95 million which will be funded through a combination of private philanthropic gifts and other institutional sources. "I'm incredibly encouraged by today's action and want to thank our generous donors and members of the board for their unwavering commitment to this project," stated Director of Athletics Jeff Schulman. 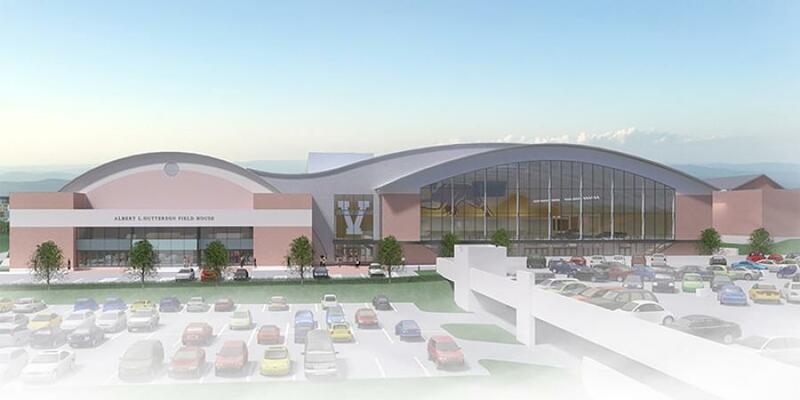 "The multi-purpose facility that we are poised to begin will dramatically enhance student health, wellness and recreation while also positioning our varsity athletic programs for long-term, sustained competitive excellence. It's a project that perfectly fits our campus and will be enjoyed by UVM students, our teams, Catamount fans and the entire community for generations to come." "We've reached this important milestone thanks to our amazing donors' dedication and investment," noted Shane Jacobson, president and CEO of the UVM Foundation. "Their belief in this project has been a source of constant inspiration. With the trustee's decision, I believe we have the final piece necessary to meet our fundraising goal. We now turn to alumni, parents, fans and friends who have not yet participated with a request — please join us to make this vision a reality. Now is the time." UVM Board of Trustees Chairman David Daigle said, "It is essential that we complete this needed and long-awaited project for the benefit of the entire UVM Community. At this board meeting we are approving all of the financial and programmatic pieces to make this project a reality." The Multi-Purpose Facility project is a part of the University's comprehensive Move Mountains campaign, which was launched in 2011. Due to gifts from more than 70,000 alumni, parents, community members and friends more than $500 million has been raised to benefit the entire University including its academic programs, students, faculty and a wide range of programs and initiatives to enhance the educational experience at UVM. For more information, visit go.uvm.edu/itstime.